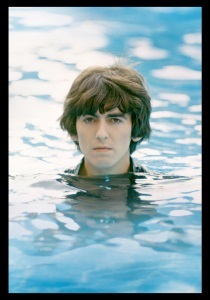 Filmmaker Martin Scorsese examines the life of musician George Harrison, weaving together interviews, concert footage, home movies and photographs. Wiki. “In my beginning is my end,” T.S. Eliot wrote. For George Harrison, raised in the working class in postwar Liverpool, one of those beginnings must have been his father's vegetable garden. Victory Gardens, they were called during and after the war, and my own father had one, too. All through his life, as money and fame came to him, he found pleasure seeking houses with gardens. English country houses are known for their gardens, but many of their owners never got their hands dirty. George was obsessed by the physical act of gardening, working with his land every day that he could. When you garden, you imagine its effect for those who will see your garden — for future generations and strangers. It is a gift you give to the land and to others, and it shows love of beauty in a pure form. * will sometimes go to extreme lengths to help a friend says "hey, I have a problem"
Dammit, i should watch the whole movie tonight. I loved this movie very much, because I was a giant Beatles fan: got A hard day's night, my first LP, at 11 (1964), saw Help in the theater 11 times etc. But watching this movie I realized that I actually saw very little footage of them at that time, and most of my fandom was based on records and newspapers. We did not have TV. So Many rare and new scenes and insights. Also, Scorsese did a fantastic job directing, editing it. It was as good as his Last Concert. 5 stars, will watch again.